Welcome to The Hidden Treasure Restaurant, San Pedro’s best kept secret! Hidden away on a back street in the Escalante residential neighborhood South of San Pedro Town, discover fine dining in a rustic yet elegant and romantic setting. Specializing in Latin American and Caribbean Cuisine, you dine romantically by candlelight, in the sultry tropical air under an exotic hardwood roof set off by bamboo, mahogany, and cabbage-bark wood. To add to The Hidden Treasure experience, we offer free shuttle service to customers from resorts and condos that are located in and South of San Pedro Town. 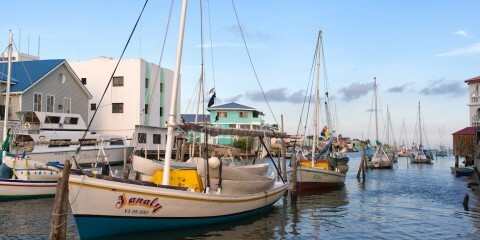 If you are staying North of Ambergris Caye, no need to worry! Just give us a call and we will arrange to pick you up in town at the water ferry terminal.